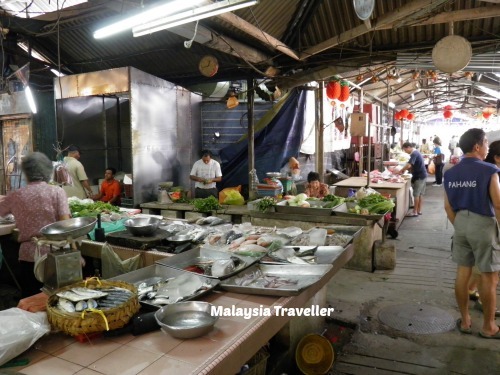 Here is some Malaysia Traveller Trivia about Chee Cheong Fun, Cheese, Cherating, Chicks and Chinatown. Malaysian foodies rave about this dish. The Cantonese name translates as Pig’s Intestine Noodles, which sounds neither halal nor appetizing but actually its name refers to its appearance, not the ingredients. The Malaysian version usually consists of fat, slippery rice flour noodles served with chilli sauce, red or brown sweet sauce, shrimp paste and topped with roasted sesame seeds and pickled green chillies on the side. It is a cheap and popular street food. In common with their Asian neighbours, Malaysians traditionally have not been big cheese eaters. Annual cheese consumption per capita in 1970 was a paltry 0.03kg. This increased sevenfold to 0.22kg by 2000 as more Malaysians developed the taste for pizza, cheeseburgers, pasta and so on. No doubt this trend will continue but the country still has a long way to go to catch the Greeks who consume a whopping 31kg of cheese per year. Perhaps a home grown cheese industry with local variations such as durian or belacan flavoured cheese might boost demand! 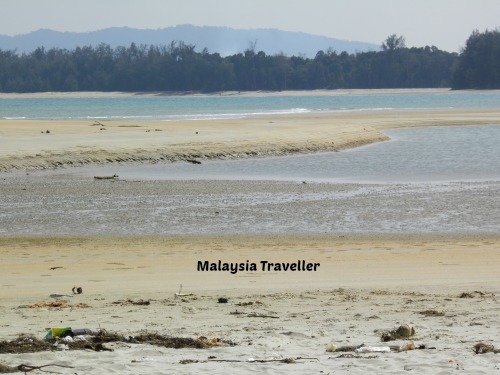 Cherating is a popular east coast beach destination in Pahang state. Accommodation ranges from backpacker standard up to the famous Club Med which has been welcoming visitors in Cherating for over 30 years. The word chicks can refer to baby chickens or a slang term for women but in this case we are referring to bamboo chicks, those rolling bamboo blinds that are an essential accessory to the classic shophouse. Extremely practical, they keep out the rain, provide shade during the heat of the day, and serve as advertising billboards. This traditional art-form however may be on the decline so buy these future collectables now. One of the prime tourist destinations in downtown Kuala Lumpur is Petaling Street. Guide books often refer to this area as ‘Chinatown’ which is a bit odd considering that Malaysia has such a huge and widespread ethnically Chinese population. Still, the overwhelming influence in Petaling Street is Chinese and it is a good place to sample excellent Cantonese cuisine and local favourites. The street is probably more famous for the shopping. Vendors’ stalls line the road selling t-shirts, souvenir items, fake Mont Blanc pens, imitation Coach handbags and so on. Bargaining is a must.